November 11, 2002 Sunny South- Going into the start of the Winter Shoot Out, Thomas knows there are 3 guys he will have to beat every race, Mike Ludlow, Burt Craig and Adam Crawford. With a Saturday afternoon start the track had an open practice session on Friday night, to say it was a rough night for the Moose would be an understatement. On Saturday morning we changed everything in the rear of the car and it paid dividends in early practice. We continued to tweak on the setup during the first 2 10 lap heat races and our driver worked even harder coming out with 3rd place finishes in both races. The 20 lap feature started with Thomas dropping back to 4th as the front 3 broke away. 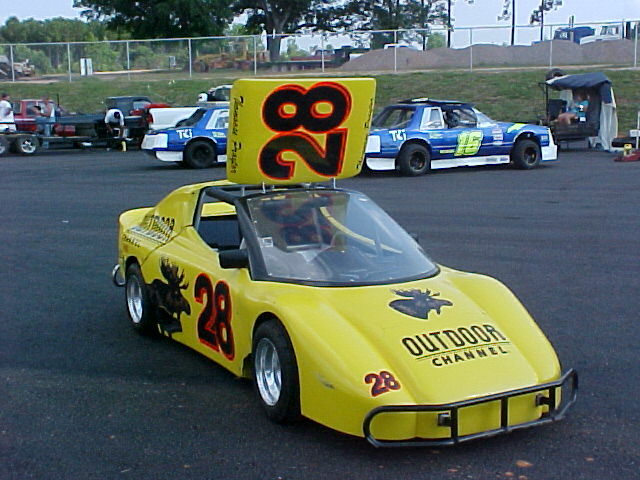 20 laps is a long Bandolero race and it wasn't long before the Outdoor Channel Bandolero started to come on as the others started to fade. While making a bid for the lead Crawford lost a chain and was out of contention. 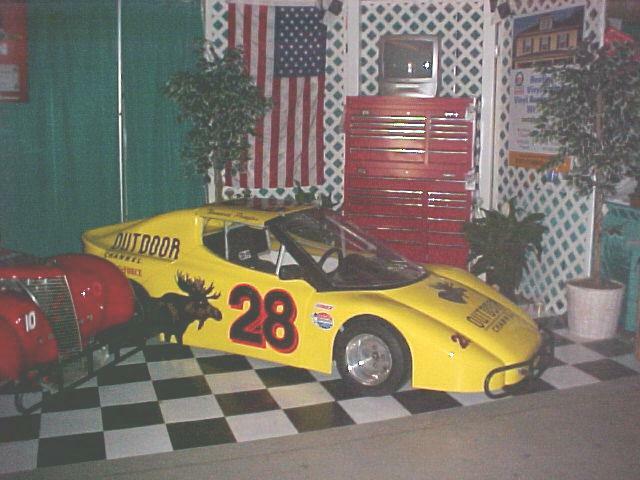 The Moose put the heat on track champion Burt Craig and they were having a great battle. While they were duking it out they started to reel in the leader. Thomas finally was underneath Burt and now had his sights set on the leader. Mike Ludlow, quickly felt the hot breath of a Moose on the Loose!!! 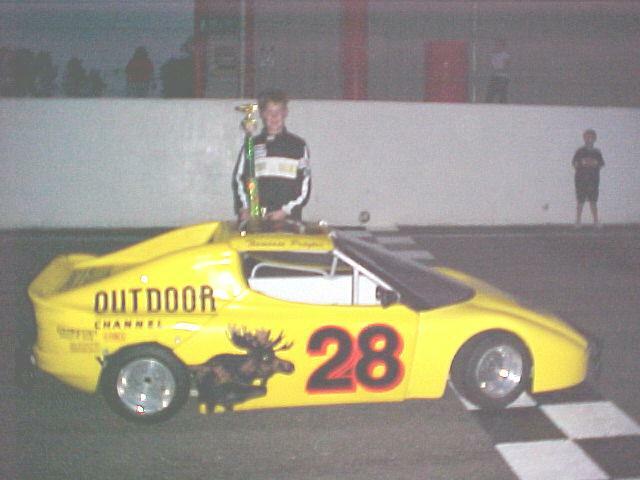 With 5 to go the Moose was out front and now it was time for him to feel the heat from the track champion, Burt Craig. Thomas held him off and took the win! 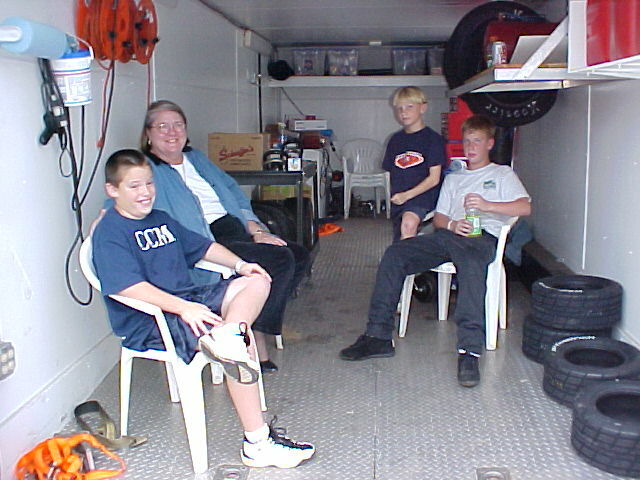 Thomas with some family help, Lee, Nita and Blake. 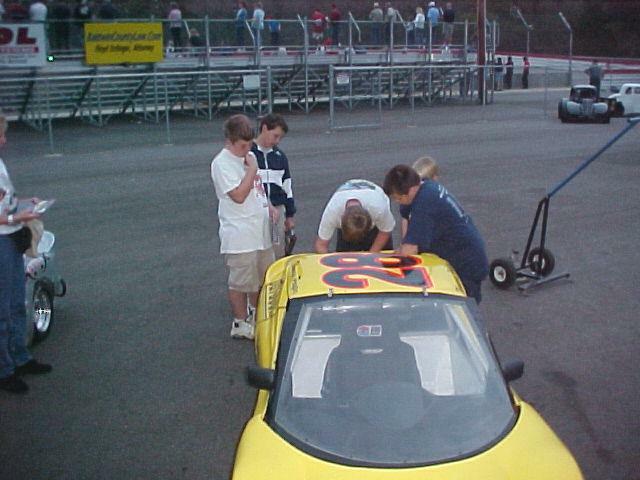 Thomas and his crew putting the finshing touches on the car. 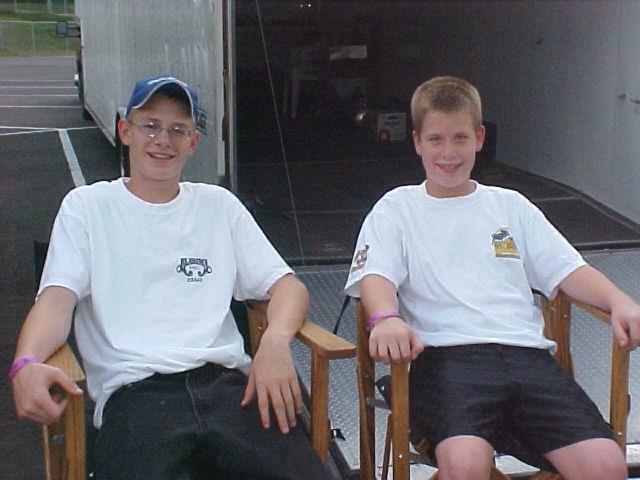 September 20, 2002 Sunny South-Thomoose started the night with a solid qualifying run that put him on the outside of the front row. An extremely tight car in the heat race landed him inside the second row for the feature. An early altercation and spin sent him to the back of the field and the Moose had to work his way back into contention. 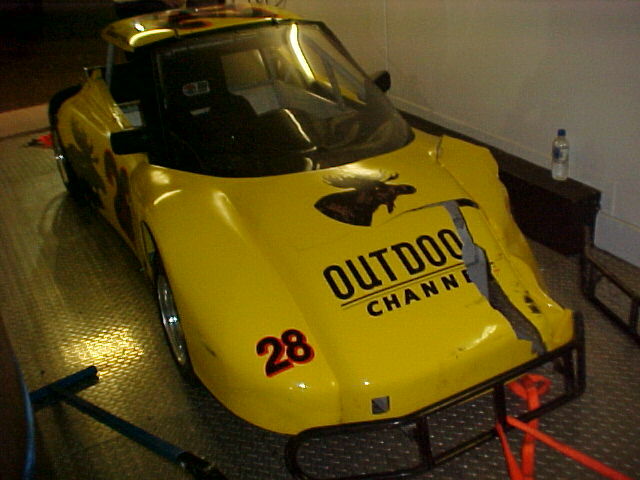 On the last corner of the last lap he found a small opening and stuck the Outdoor Channel's Moose antlers into a 3rd place finish. 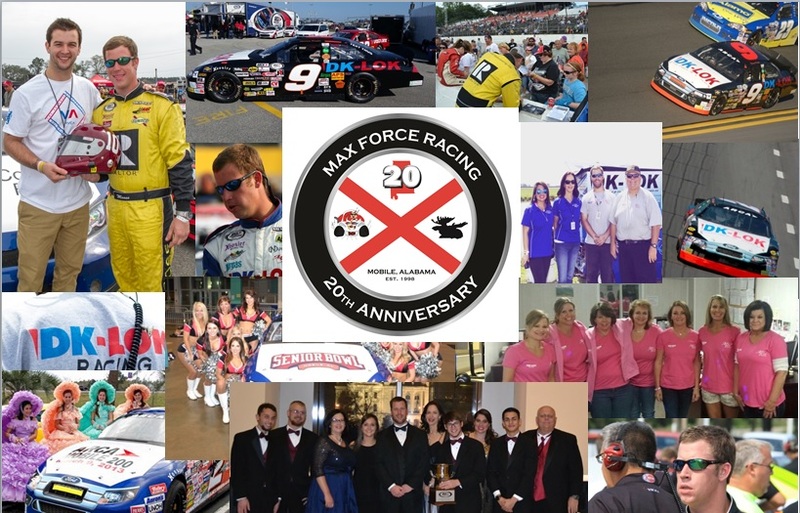 Next weekend is the last night of racing at Sunny South Raceway and the Moose will be on the loose! 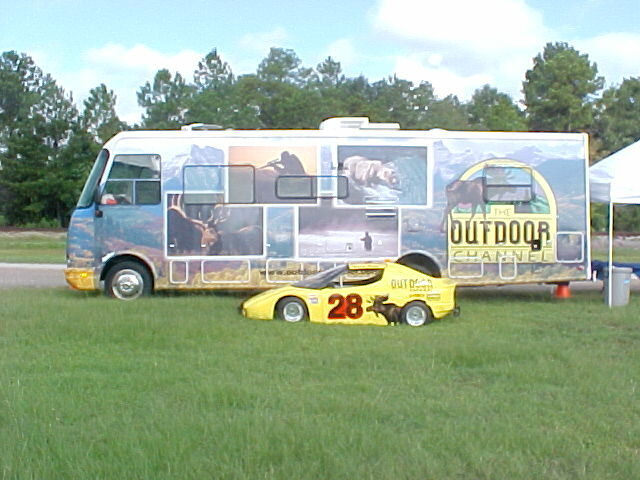 September 24, 2002 Greater Gulf State Fair-The Outdoor Channel Bandolero became part of the Home Depot Exhibit at the fair. 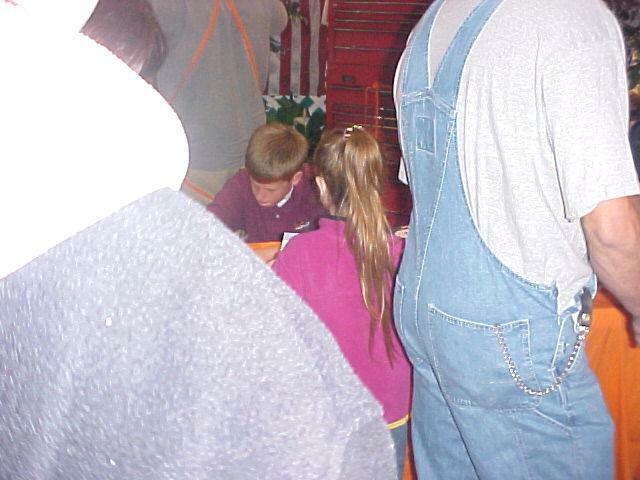 The Moose signed autographs on tuesday night. 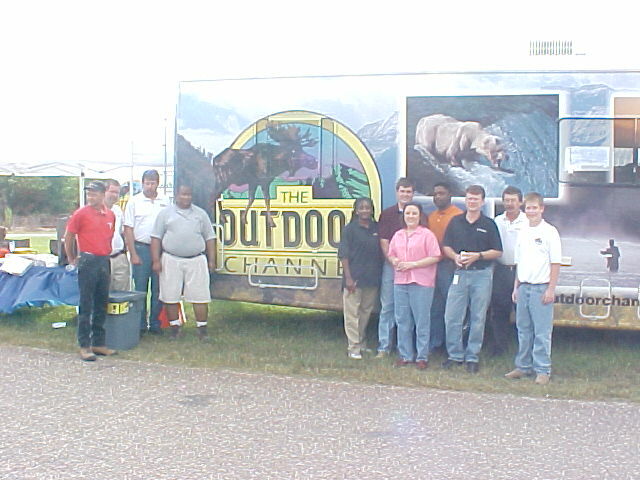 September 13, 2002 Comcast Cable-Thomoose and the Motor Moose make an appearance at Comcast Cable for the launch of the Outdoor Channel on Comcast 75 in Mobile. 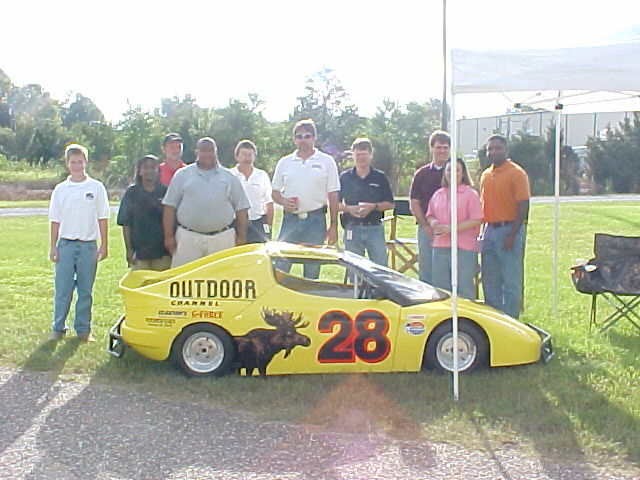 8-30-02 Sunny South Mobile-The Moose prepped with 2 full nights of testing. 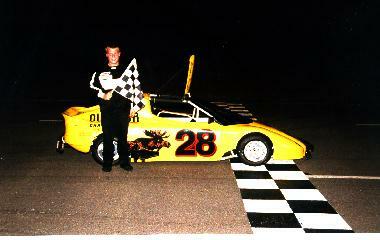 It paid off with his best qualifying time of his carreer and a 3rd place starting position. 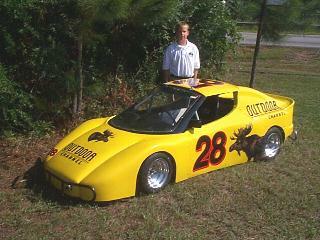 Adam Crawford spent the last 2 weeks turning wrenches for Thomas and now he was ready take a turn behind the wheel of the Alabama Grill Bandolero. 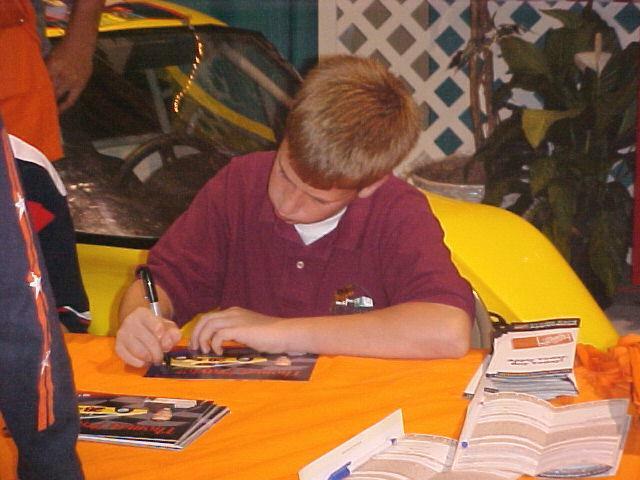 They qulified 2-3 behind the current points leader who set a new track record. Adam and Thomas would finish 3-4 in the heat race and 2-4 in a wild feature. Thomas & Adam doing their prerace warm up. 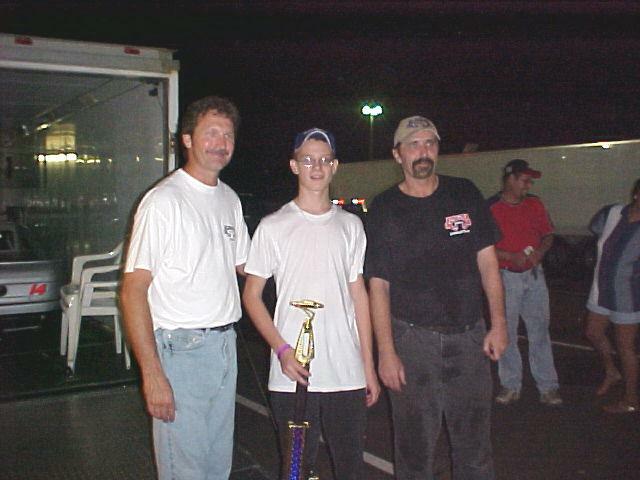 Adam with his Dad, crew chief Backpack Bob and 2nd place trophy. 2 top 5s and it didn't have a mark on it. 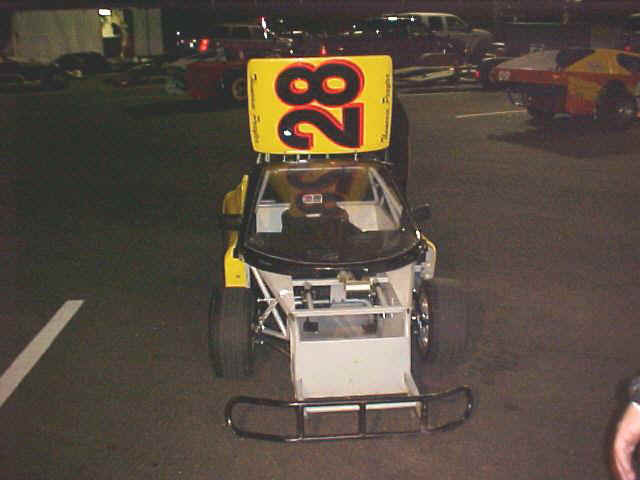 8-23-02 Sunny South Mobile-Making another start without practice or qualifying left the Moose a little rusty and ended up tearing up a race car. 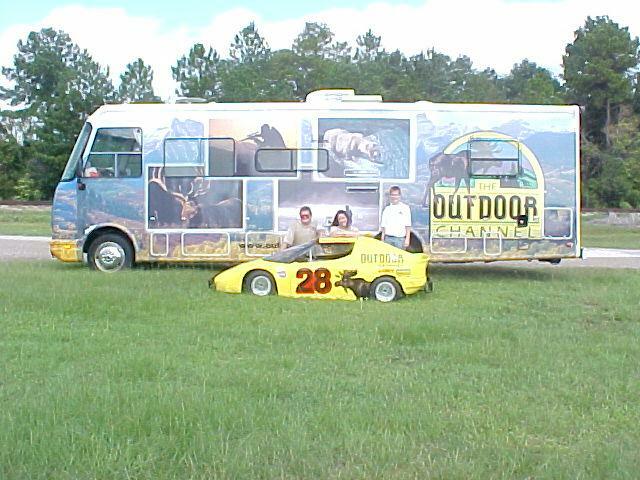 7-26-02 Sunny South Mobile-A few changes to the Outdoor Channel Bandolero gave Thomas a 2nd place qualifying run and designs on his second win this season. Thomoose got a little lose off of 4 in the heat race and another car took the left front off the car. During the intermission we were able to get it back together for the feature but it wasn't the same car and he had to settle for a fourth place finish. Eventhough, the finish was not what he was looking for, the Moose flexed a little muscle. 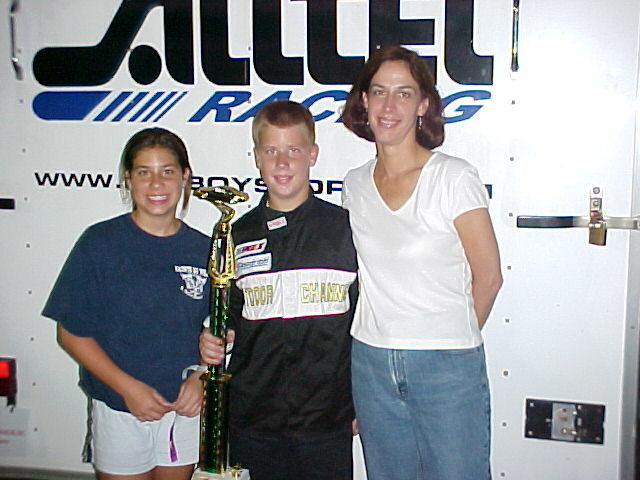 6-28-02 Sunny South Mobile-Thomoose finally put it all together for his first win. 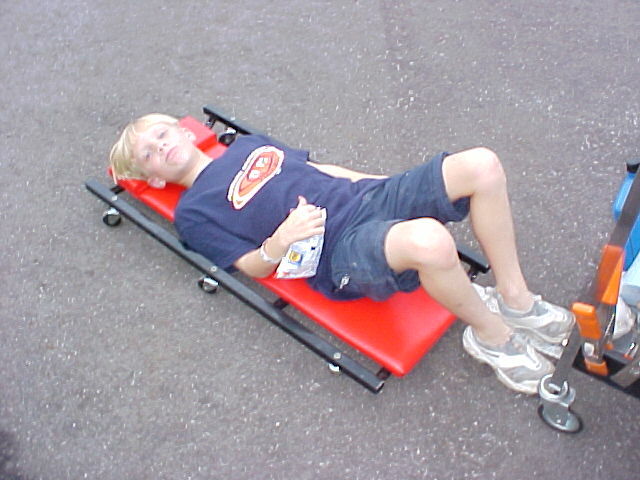 6-21-02 Sunny South Mobile-Thomas finally got to do a little racing and too much beating and banging. Thomas and the 92 got together in the heat race and it ripped the left front tire off the car. We fixed it for the feature but needed more help than we could give it in a short time. 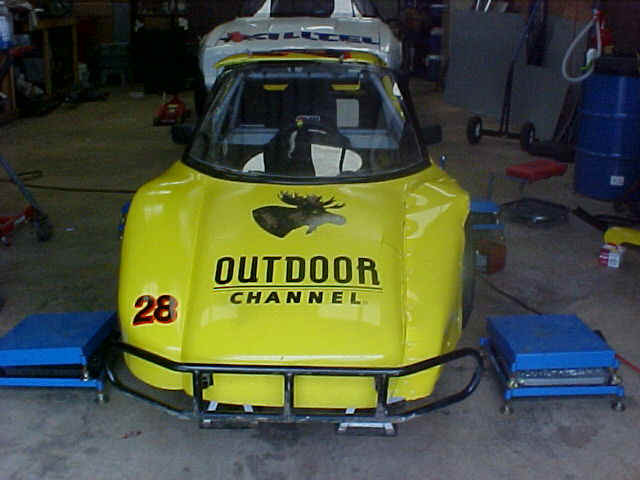 Lots of work during the week had the Outdoor Channel Bandolero ready for action. 5-17-02 Opening Night Sunny South-Thomoose was ready to roll but mother nature had other plans. 5-11-02 Sunny South-Testing-After a long lay off from the Winter Nationals Thomoose got a chance to get back to the high banks of Sunny South Speedway and off the flat tracks and road courses. A good test had Thomas waiting on opening day. 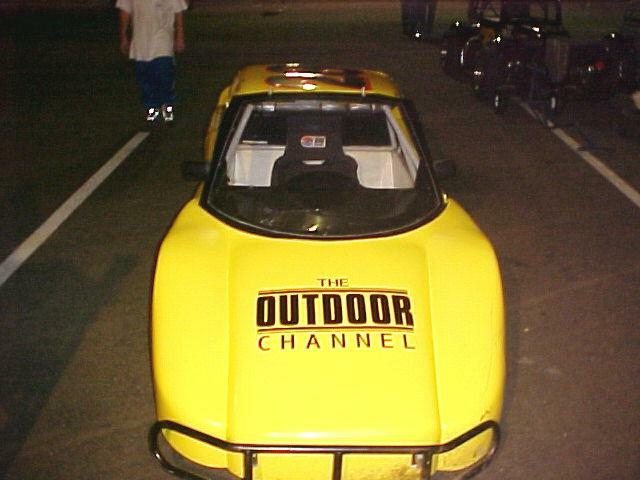 The Outdoor Channel Bandolero after a test run. 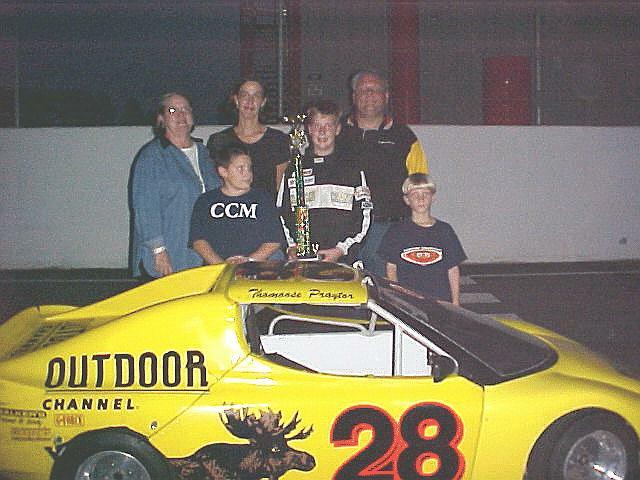 February 2002 Winter Nationals-Tampa- Two days of racing had Thomoose in 2nd place to a car from Indianapolis. Thomas gets a few pointers for Tampa from Jason Jarrett at Daytona.